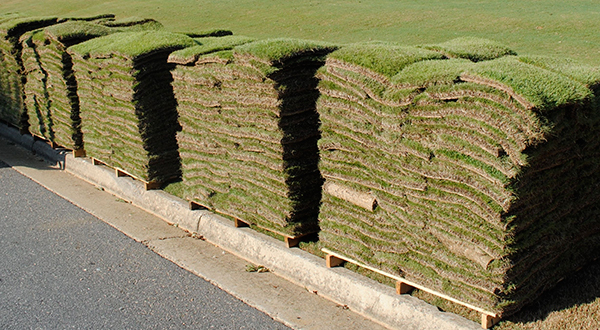 Is Your Yard Right for Zoysia Sod? If you happen to have a home or business without the beautiful, green grass you want, sod may be the solution. Sod is grass grown on a farm specifically for the purpose of being harvested with its roots and soil and re-installed on different ground. In Florida it is best to install sod in the Autumn, because the grass can take root and benefit from the cooler weather. When it comes to sod choices Zoysia has many attractive qualities. Is it right for your property? Zoysia was brought to the United States in the 19th Century, but it is actually native to Asia. As a warm season grass it begins its active growth phase during the warmth of late spring. Its growth tends to peak during the hot summers here in Florida. Being a perennial, Zoysia grows back every year and has the heat tolerance to thrive in Florida’s humid summer months. There are many perks offered to property owners that choose to use Zoysia sod. While it may be a bit a bit slow to establish itself, it is worth the wait because of the beautiful, dense carpet of grass that it forms. The density of Zoysia sod also helps to keep weeds from taking hold. Unlike other sod choices, Zoysia stays greener longer into the winter months. It also tends to regain its natural green color very quickly in the spring. Thanks to Zoysia’s naturally deep root system, it offers efficient moisture conservation, which makes the sod relatively drought resistant. This is a very important characteristic for sod in Florida, because it allows your grass to remain green during short stretches of drought. Furthermore, Zoysia responds to elongated periods of drought by simply going into a dormant phase. This means it will become brown, but the Zoysia will return to its green color shortly after the drought ends. It’s a truly durable grass that loves full sun but can still tolerate light shade. It should come as no surprise that Zoysia is such a popular lawn option in the Tampa area. With its fine textured leaf blades, beautiful emerald green color, and a convenient resistance to cinch bugs, Zoysia offers home and business owners many perks without any of the drawbacks! The team at Assure Green Property Services has years of experience with Zoysia sod, so they can provide the expert care that your yard needs to remain in prime condition. Call (727) 797-4040 today to make your first appointment!